What kid doesn't love dinosaurs? 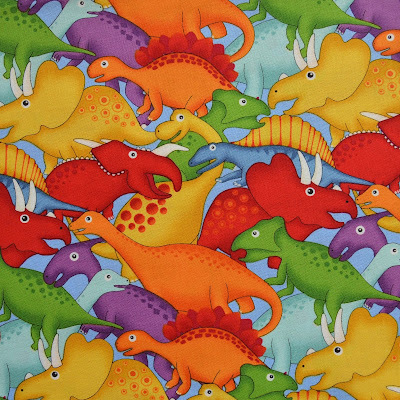 Our new Lost World collection features bright and bold dinos in multiple sizes! There's also a cool hexagon print, a mini dino egg print, and dino text--perfect for little ones obsessed with learning the different kinds. Download the "Lost World" free quilt pattern designed by Pine Tree Country Quilts. 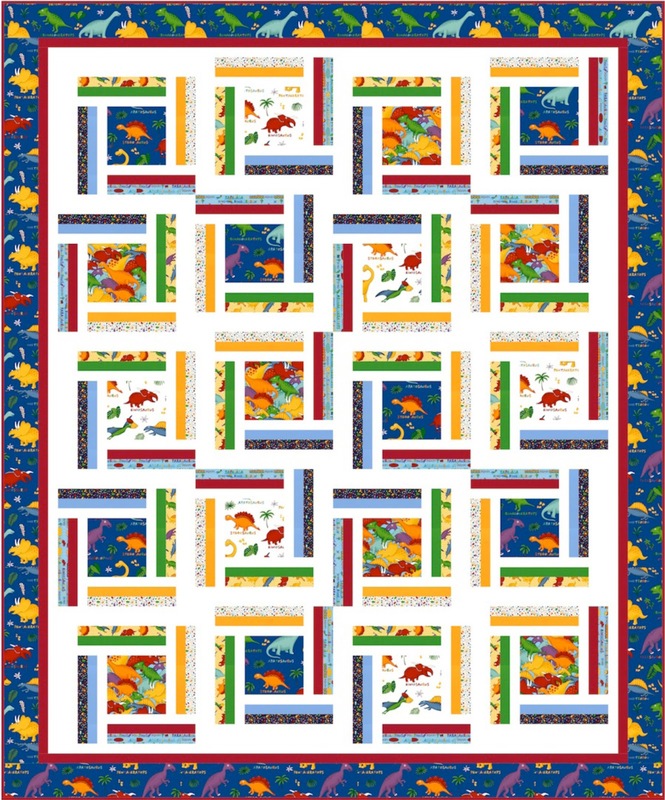 This cheerful kids' quilt uses a Log Cabin technique with pieced strips to make a dino-licious design! 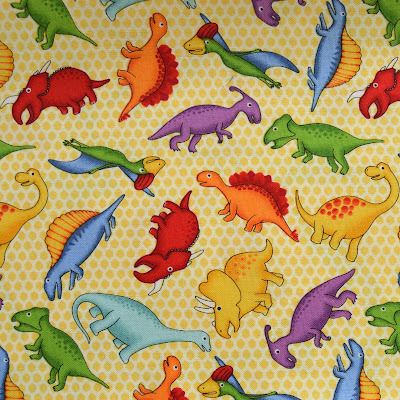 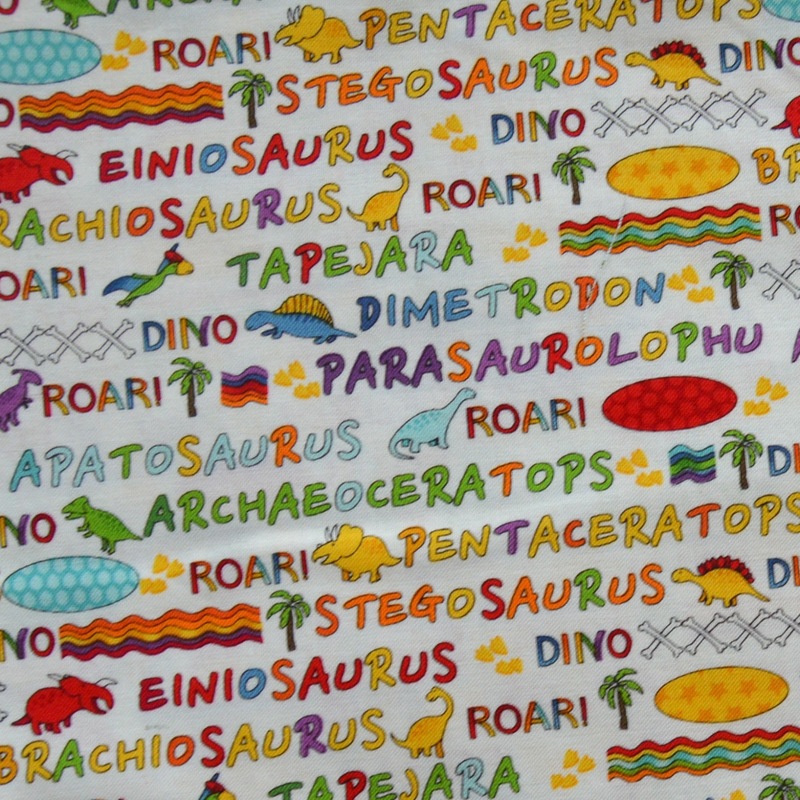 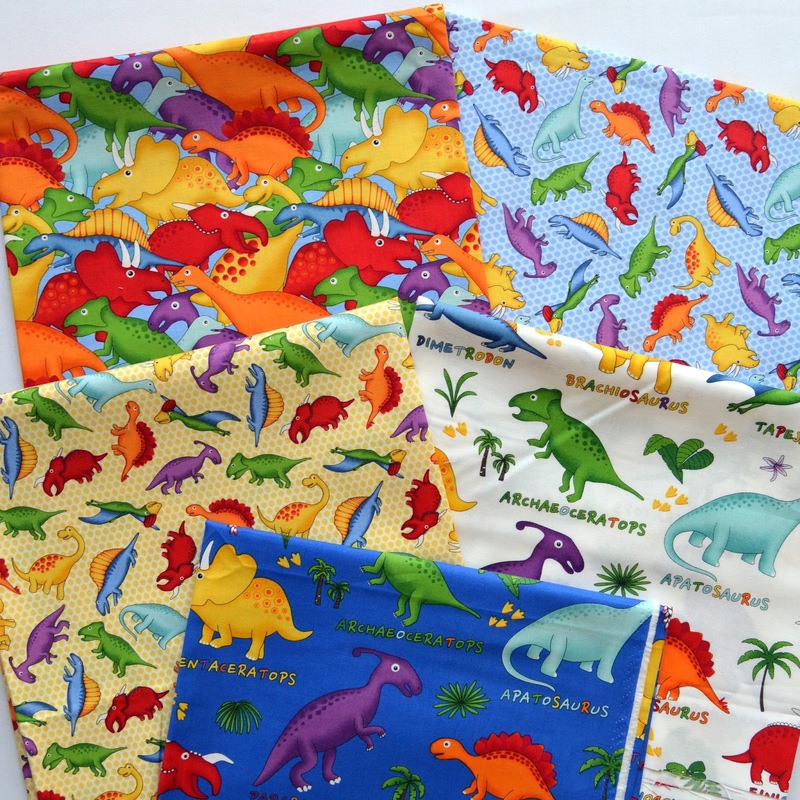 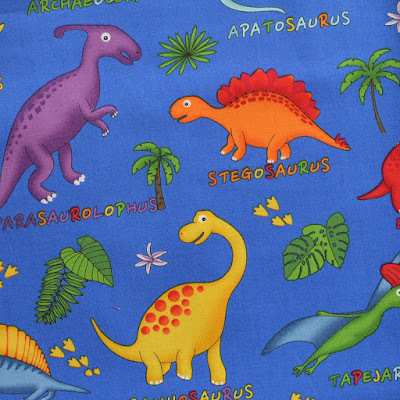 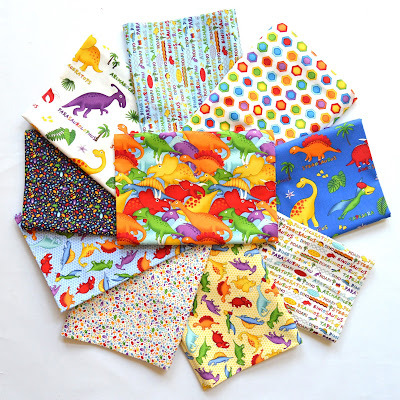 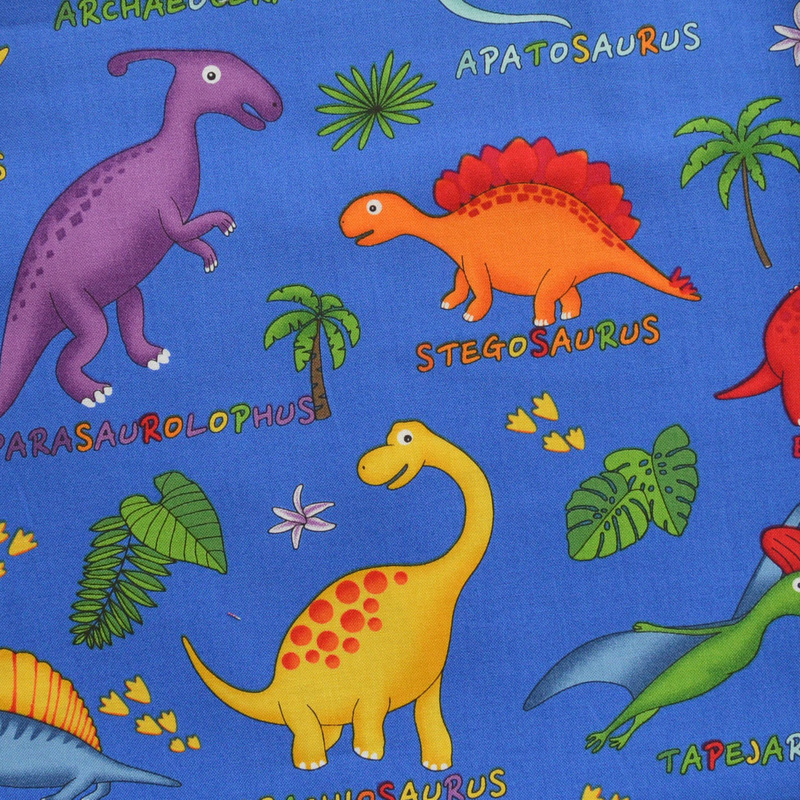 Find the entire Lost World collection here and ask for it at your local quilt shop. Love those bright colors. 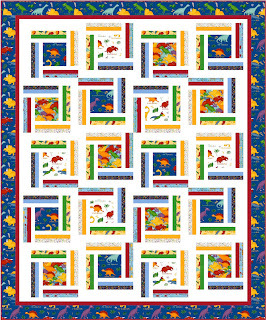 Can see that any child would love this quilt.